VoIP digital phone service can save a lot of money on phone bills -- as long as it's reliable. The reports of professional and user reviewers help us determine the top picks, but large-scale customer surveys prove indispensable. They reveal persistent customer service issues as well as connectivity problems throughout the country. Whether your business is tiny or huge, RingCentral offers tons of Internet-connected phone features for the money. Entry-level plans include not only the basics -- call forwarding, automatic call logging and "auto receptionist" -- but also full integration with Dropbox, Google and Microsoft Office, plus paging, office intercom and more. There's no cap on the number of lines you can have, making RingCentral an especially appealing option for larger enterprises. 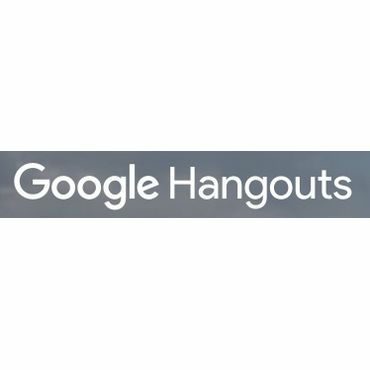 Voice Calls from Gmail (via Google Hangouts (Google Voice)) are completely free to any landline or mobile phone in the U.S. and Canada, though Google charges for international calls. Signing up for a free Google Voice number gives you access to advanced features, such as transcribing your voice mails and texting or emailing them to you. No special hardware is needed; it will work with virtually any computer or mobile device. VoIP (Voice over Internet Protocol) is digital phone service that sends your calls over a high-speed Internet connection -- or your cell phone's data plan -- to bypass your normal telephone provider. If you make tons of long-distance calls (for example, you have family overseas), this can save you major money. Some VoIP users eliminate their landlines entirely, or carry just a data plan (no calling plan) on their mobile phones. Software-based VoIP is often free or cheap, but not always reliable. Apps such as Skype and Google Hangouts need no special equipment. You make phone calls directly from your computer or mobile phone -- often for free (except, of course, you must have an internet connection or mobile data plan). The downside? Glitches are common, such as delayed calls, missed calls and poor call quality. Hardware-based VoIP costs more, but it can be worth it. Ooma, cable-company phone service and other hardware-based VoIP places calls over the internet, but using your regular phone (and sometimes a special adapter that you must buy). The advantage? For the user, it seems like 100 percent ordinary phone service. Your phone rings and has a dial tone just like any other telephone, and call quality is usually good. Hardware-based VoIP works even when your computer is off -- as long as your Internet or cable connection is active. If you aren't ready to give up your landline, keep in mind that most cell phone plans now include nationwide long distance at no additional charge, and some even include international calling (at least to select countries). See the ConsumerSearch report on cell phone plans and prepaid cell phone plans for more information on those. To find the best VoIP providers, we first examined professional tests. PCMag.com is the king of VoIP reviews, testing basically every major mobile, home and business VoIP solution and picking the best ones. We found other good tests here and there; for example, BusinessNewsDaily.com's is helpful if you're looking to go VoIP at the office, and mobile users get great advice on the best VoIP apps from Time magazine's globetrotting contributor Karina Martinez-Carter. Users' own opinions often match the experts' -- but not always. ConsumerReports.org's mammoth reader survey (more than 100,000 readers) lets users judge various VoIP services' value, reliability, call quality, customer service and tech support. PCMag.com's latest reader survey unearths the best business VoIP solutions, and thousands of customer reviews at Amazon.com, Google Play and iTunes are a pretty good indicator of how various VoIP apps and hardware perform in real life. Traditionally, cable-company VoIP -- phone service from SuddenLink, Wow, Cablevision, Charter, BrightHouse Networks, Cox, etc. -- was the best VoIP you could buy. It's familiar and convenient: Just sign up with your cable company, and keep using your phone in the normal way. Call quality is usually very good, and service is reliable (calls go over the cable company's private IP network, not the clogged public Internet). You can call 911 from cable VoIP, and some companies give you a battery backup in case of power outage. The big drawback? Cost. Cable VoIP is usually the most expensive, and you might have to bundle it with cable TV and/or Internet services you may not need or want. In a recent consumer survey, no cable VoIP service was judged a very good value. By contrast, Ooma (Est. $80 for hardware, plus Est. $3 per month for taxes) is judged an outstanding value -- and the best way to mimic good old-fashioned landline service, with high call quality and reliability. Ooma offers VoIP service in a less-common way: You buy a streamlined, saucer-shaped adapter, the Ooma Telo (Est. $100), and then U.S. calls are free, except for state taxes and fees (usually about $3 per month). "Super-easy setup, a spiffy table-top adapter with a speaker, a user-friendly Web interface, clear voice quality, and low cost -- just about everything you'd want from an Internet-based landline replacement service," says PCMag.com. Michael Muchmore names Ooma and the Ooma Telo as the Editors' Choice pick for home VoIP service. G.E. Miller at 20SomethingFinance.com switched from a Verizon landline to Ooma seven years ago. Free Ooma calls at home mean Miller needs only a small, cheap minutes plan on his cell phone. "I have not had to call Ooma customer service for anything. Ever," Miller says. "The setup is easy, the hardware has worked beautifully, and the acoustics are incredibly clear ... I have zero complaints." That's not surprising as Ooma's customer service is judged very good, and its tech support good, in a major customer survey. It's the darling of customers at Amazon.com, too, with the service and the Ooma Telo earning 4.3 out of 5 stars over more than 3,500 user reviews. 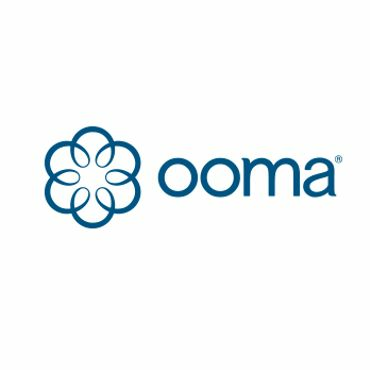 The free Ooma plan comes loaded with features, from basics (voice mail, caller ID, call waiting, 911 service, etc.) to useful bonuses (such as a mobile app that allows you to make free cell phone calls). For additional features, including call forwarding, voicemail email/text alerts and an "Instant Second Line" so two people can use Ooma at once, you have to upgrade to the Ooma Premier plan (Est. $10 per month). International calls can be free, too -- but only to other Ooma users. Otherwise, chatting with your friends and family around the globe will cost extra (Est. 1.4 cents per minute to $18 per month plus taxes and fees to 60 countries). VoIP has taken over the business world "Today, it's the most popular technology to deliver corporate voice, especially for small to midsize businesses," PCMag.com says. As is the case for home users, business VoIP is reasonably priced. It also offers all kinds of nifty features, working hand-in-hand with your computer network in a way old-fashioned phone lines just can't. And it uses the Internet, so there's no Ma Bell monopoly stuff going on -- you'll find lots of business VoIP providers vying for your business. For business users, RingCentral leads the pack. It beats runner-up Ooma Office (Est. $100 hardware, plus $20 per month and up) in PCMag.com's "Battle of the Business VoIPs." "There's only one reason to choose Ooma over RingCentral: money," PCMag's Juan Martinez concludes. "Sure, it'll cost you extra in the long run, but your employees will probably save time, and the quality of their service and communication will improve, all of which will ultimately help you save money." RingCentral's standard monthly plan ($25 per user per month) costs just a little more than Ooma Office, but it's loaded with more features for the money. Both services offer the basics -- automatic call forwarding to employees' mobile and home phones, log all incoming and outgoing calls, an "auto receptionist" that transfers callers to the correct departments, and automatically ring another employee's line if one steps away from his or her desk. Both can archive voicemails to Dropbox. But RingCentral's standard plan also lets you fax documents directly from Dropbox, Google Docs and Drive, Microsoft Office and more. It also includes office intercom, paging and templates for batch configurations. 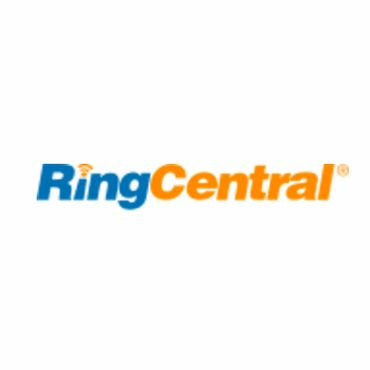 RingCentral's higher-tier plans offer even more. For example, the Premium plan (Est. $35 per month per user) automatically records calls, and the Enterprise plan (Est. $45 per month per user) will transcribe voicemails and email them to you. Finally, Ooma Office is for small businesses only -- there's a 20-line maximum. RingCentral offers unlimited lines, making it BusinessNewsDaily.com's pick for "Best Virtual Phone System." Still, for small businesses with basic phone needs, Ooma Office is a fine choice. BusinessNewsDaily.com names Ooma Office "Best Business Phone System for Small Office." And users love both services: Ooma Office wins the 2016 Business Choice Award in PCMag.com's reader survey, followed closely by RingCentral.